I guess the Microsoft Product Groups try to protect the long-suffering customer from the obscurity of some of the attribute LDAP display names by giving them friendly names. This approach would work well if there were universal consistency, but it not it just becomes confusing. My preference is always to use the ldapDisplayName values whenever possible – and certainly always with the AD cmdlets, e.g. 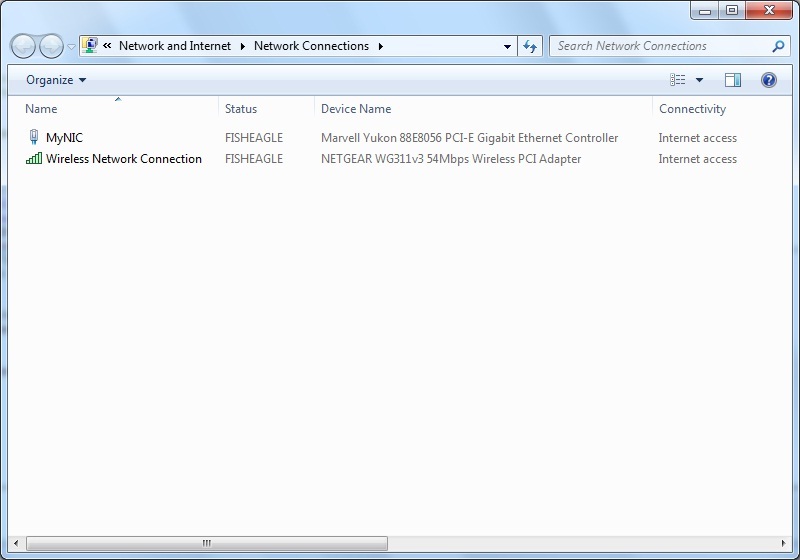 Posted by admin on January 2, 2012 at 9:38 pm under Active Directory, PowerShell, Windows Server 2008 R2. The objectGUID attribute is a little tricky to work with, especially if you want to use it as part of an LDAP filter. This is because the value in stored within the directory as an octet string – essentially an array of one-byte characters. This syntax is not especially user-friendly, which is why it is typically displayed (by tools such as LDP.EXE and the AD Powershell cmdlets) in a registry string format, e.g. “af97d4c7-5f17-4ce2-9245-687d410b4b20″. Another way of displaying the value is using a hex string format, e.g. “C7D497AF175FE24C9245687D410B4B20″. If you’re into migrations using Quest Migration Manager for AD, the hex string representation is used for the matching attribute value (using either extenstionAttribute15 or adminDisplayName). As you can see, the two representations are similar, but have a slightly different ordering of the bytes. The script below accepts either of the two string formats as input and prompts you for the naming context in which to search for the object represented by the objectGUID attribute. Write-host "Unrecognised string format - remove any leading or trailing spaces and try again"
Posted by admin on September 23, 2011 at 1:47 am under Active Directory, PowerShell, Scripting, Windows Server 2008 R2. As promised, here are the Powershell data files from my Teched NZ 2011 demos. I’ve also included the FSMO role mover script. Posted by admin on August 25, 2011 at 7:21 am under Active Directory, PowerShell, Scripting, Windows Server 2008 R2. When preparing for a migration of AD objects from one forest to another it is useful to know if any of the names are going to conflict. There are, as you probably know, a number of different naming attributes in AD, but the one most likely to cause problems in the event of a conflict is sAMAccountName. This is because sAMAccountName is used for domain logon (assuming UPN is not used). If you know which names conflict between source and target you can plan changes before you get into the migration itself. I’ve written a couple of small scripts to detect sAMAccountName conflicts. I’ve used two scripts instead of one as there is not always trust connectivity between the two forests. The first script (SourceUsersToCSV) is run in the source domain and basically just dumps all the user sAMaccountName attribute values to a file. The second script (DupeCheckFromCSV) is run in the target domains and reads the exported file information line-by-line and checks to see if there are any conflicts in the target domain. If a conflict is found the sAMAccountName is written to a file. write-host "No Users found in CSV import file!" Posted by admin on July 31, 2011 at 2:18 am under Active Directory, PowerShell, Scripting, Windows Server 2008 R2. Something I often recommend to my customers is keep the membership of the Enterprise Admins and Schema Admins groups empty and only populate them (temporarily) when required. The privileges assigned to these groups are obviously high and removing the members reduces the potential for costly mistakes and/or compromise. $grps = "Enterprise Admins", "Schema Admins"
This is something that you could consider running as a scheduled task to ensure the memberships are kept clear. Posted by admin on May 1, 2011 at 3:31 am under Active Directory, PowerShell, Scripting, Windows Server 2008 R2. $BA = $BA.ToString() + "-500"
As you can see it basically involves grabbing the domain SID, adding on the well-known identifier “-500″ and then searching for the account based on the concatenanted string. I can’t help thinking there must be an easier method, so if you have one please post a comment here. Posted by admin on May 1, 2011 at 3:14 am under Active Directory, PowerShell, Scripting, Windows Server 2008 R2. Here’s a little WMI script I threw together the other day to help someone out. 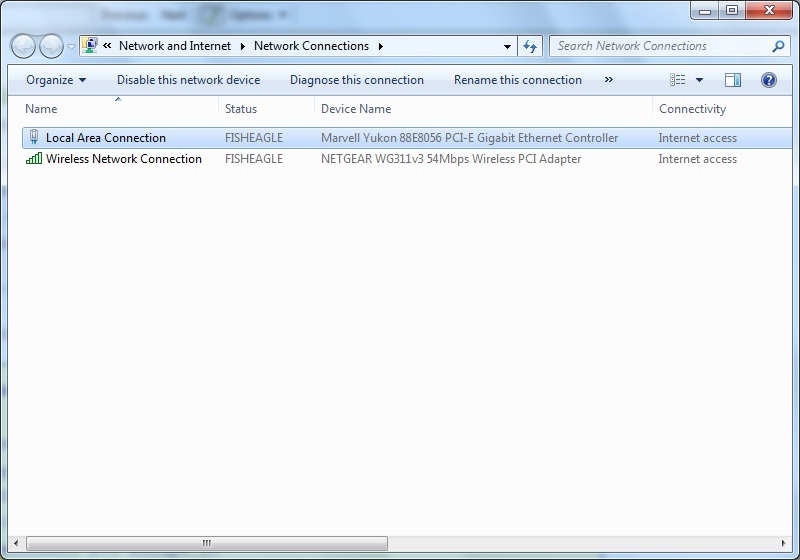 The requirement was to set the display name (label) of a network adapter based on its hardware location. Let’s say we have a NIC with the display name “Local Area Connection” and you want to change it to “MyNIC”, but only if it has a specific hardware location (e.g. 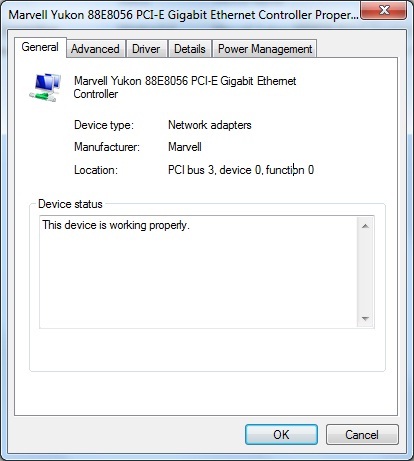 PCI bus 3, device 0, function 0). Of course, you can do this manually by nipping into the network connection properties (ncpa.cpl), but what if you have tens or hundreds of servers that you want to do this for? $location = "PCI bus 3, device 0, function 0"
After running the script, you should see that the display name has changed. My script only changes the NIC display name for the computer on which it is running, but you could easily change this to run against multiple machines. Posted by admin on April 25, 2011 at 2:31 am under PowerShell, Scripting, Windows Server 2008 R2. I’ve been running dual boot Windows 7 and Windows Server 2008 R2 on my laptop for a little while now. I use Windows 2008 R2 for running Hyper-V guests for testing and demo purposes. For some time I’d been running Microsoft Security Essentials on the Windows 7 partition, but without any Anti-Malware software on the 2008 R2 partition – something that made me a little uncomfortable. Recently, I found Comodo Antivirus. It’s free and seems to run quite happily on my Windows Server 2008 R2 partition. Be aware that it does throw up the occasional advertisement bubble from its location in the notification area of the Windows task bar. This doesn’t really bother me – it seems a small price to pay for peace of mind. Posted by admin on March 27, 2011 at 1:54 am under Windows Server 2008 R2. The MAPI_E_FAILONEPROVIDER error appears to be fairly generic and I couldn’t find anything on the Microsoft Knowledge Base that matched my scenario. In the end the problem turned out to be a by-product of my Exchange 2010 SP1 environment not having any Public Folders. Apparently the MAPI CDO client will by default look for Public Folders when accessing the mailbox and will throw the error if it can’t find any. The fix is to add a registry key to the server running MAPI CDO that sets a flag (CONNECT_IGNORE_NO_PF) that instructs the client to ignore the absence of Public Folders. On the computer running Microsoft Exchange MAPI and CDO 1.2.1, click Start > Run. If you are running a 32-bit version of Windows, navigate to HKEY_LOCAL_MACHINE\SOFTWARE\Microsoft\Windows Messaging Subsystem\CDO. If you are running a 64-bit version of Windows, navigate to HKEY_LOCAL_MACHINE\SOFTWARE\WOW6432Node\Microsoft\Windows Messaging Subsystem. If the CDO registry key does not exist, create a registry key that you name CDO. In the CDO registry key, if the DWORD value does not exist, create a DWORD value that you name Ignore No PF. Change the DWORD value to 1. Interestingly, the only references I could find to the “Ignore No PF” key were some MSDN and Technet blogs and the support documentation for Blackberry Enterprise Server. There is currently nothing available in the Microsoft on-line documentation, including the Knowledge Base (at least nothing I could find). Given that Public Folders are being “de-emphasised” within Exchange I would have thought this workaround would be given much more prominence. Posted by admin on March 27, 2011 at 1:32 am under Exchange Server, Windows Server 2008 R2.